Beautiful, colorful "Success" bookmark. Shows a mountain climber overlooking a city against a dramatic skyscape with the inspirational message "Anything is Possible". 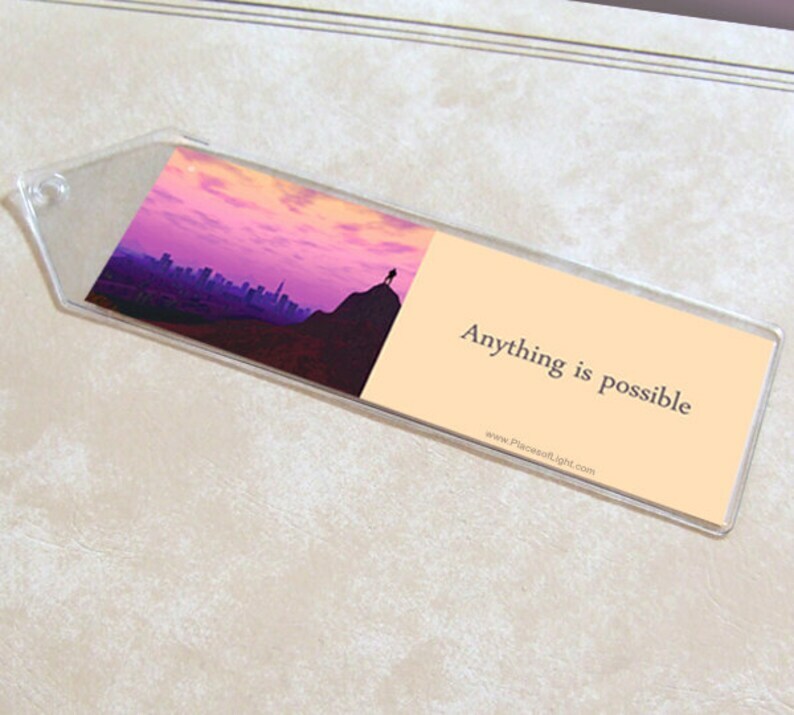 Bookmark measures 6" x 2", is printed on semi-gloss card stock, and comes enclosed in a clear vinyl sleeve.